MetaScope is like having a million screensavers in one. Simply type in phrases like "Britney Spears," or "Kittens," or "Picasso" or *anything else you like*. 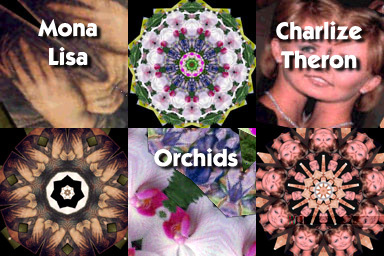 In about 10 seconds, you get a gorgeous new kaleidoscope, customized to your personal interests. MetaScope searches the internet for new images using services such as Google and AltaVista.